"The name of 'Pilot field' is from Old English -pil ate- meaning "hair oats" Pil-Oats, otherwise known as pilled oats, are a species of oat in which the pill (husk) does not adhere to the grain.” A survey of the area from 1560 shows the first record of the name ‘the Pilate Field’. After viewing the Hastings area for eligible plots of land, the Pilot Field was unanimously selected by the building committee to recommend the 17 acre site to the Board of Guardians of the Hastings Union, which was then owned by Mr W. H. Goodwin, a solicitor and could be obtained for £275 per acre. The proposal was opposed to by owners and occupiers in the area, whose arguments are quoted as “the workhouse would considerably depreciate property in the vicinity, and be an intolerable nuisance to the neighbourhood”. The workhouse became a frequently discussed topic in the Observer for the following few years, featured in articles and letters from the public. The Hastings Guardians had purchased the land and preparation work began, such as the sinking of a new well. However by 1891 the relocation of the workhouse was abandoned and remained in Ore, which would go onto become the site of St. Helens Hospital. The Hastings Guardians would go on to lease the Pilot Field over the years, with proposals to use the site for allotments and construction of a sanatorium coming to nothing. By 1920, the large site had been laying mostly idle, with the Guardians only making a small profit and around this time the idea of opening up more recreational areas in the town and become more frequent, especially since the loss of the old ‘Sports Ground’ due to the development of White Rock Gardens. The Pilot Field and Horntye were the two proposed sites to replace the Sports Ground, with the Pilot Field being more preferable as it could be ready to host sports by September of that year. 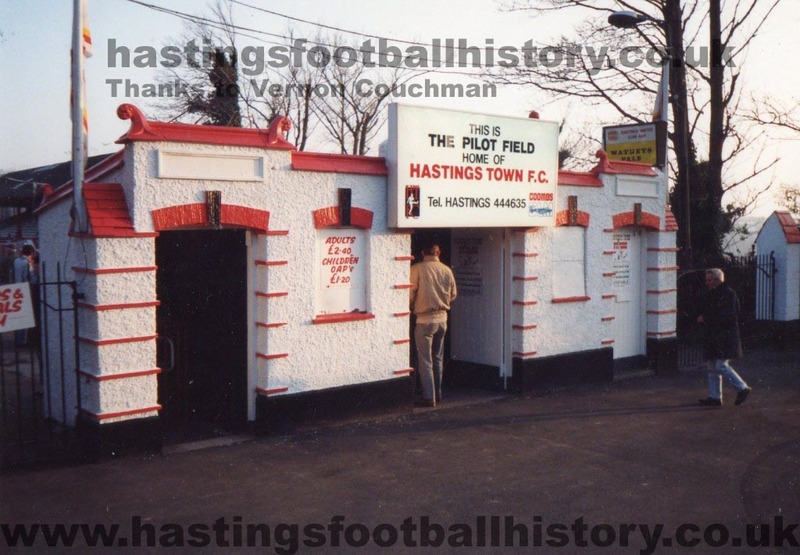 The Pilot Field was acquired by the Hastings Corporation and rented to the Hastings & St Leonards Sports Association in June 1920, though the Sports Association didn’t take over the ground until August, so did well to do the necessary works to make the site fit for county league football. The first game was held on Saturday 11th September, with Rock-a-Nore losing to Chichester in front of a crowd of at least 1000 according to the Hastings Observer. Being opened as an athletic ground the Pilot Field also played host to rugby, cricket, hockey, athletics and cycling, mostly being used for football. The cycling track was constructed in 1922 and enough ground work had been completed to split the site into lower and upper pitches. Despite the work undertaken, the facilities remained basic for the first few years after opening; with the football pitch being roped off on match days, the site being fenced of so a gate could be charged and temporary cover for spectators occasionally being erected. 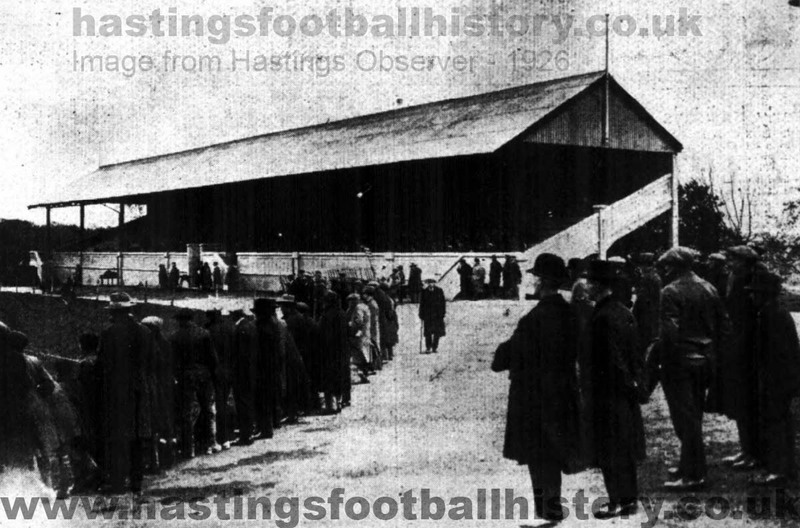 The Pilot Field was officially opened on 8th November 1922, where a large crowd saw Hastings & St Leonards (formally Rock-a-Nore) lose 3-1 to Queens Park Rangers. Articles in the Hastings Observer highlight the lack of facilities, including one from 24th January 1925 complaining at the sight of spectators urinating at half-time and another highlighting the issue of spectators being able to watch games for free from Elphinstone Road. Proposals to improve the Pilot Field were made in 1924, which included the construction of new grandstand, new fencing to split to upper and lower pitches, toilet facilities and parking, all at the cost of £6600. 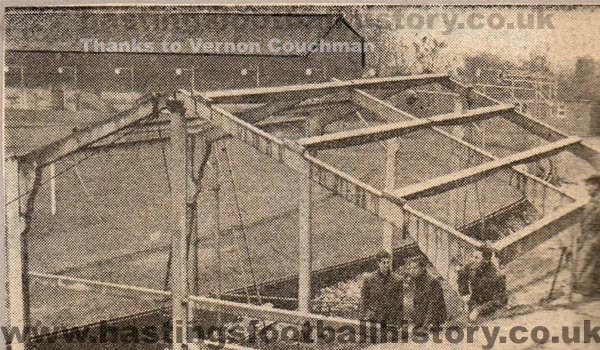 Work had started by July 1925, with work on the foundations of the grandstand and turnstiles having been mentioned in the Observer. The stand was officially opened on 28th April 1926, with 1500 people assembling in the newly opened structure for the opening ceremony performed by Mayor Alderman W. J. Fellows. 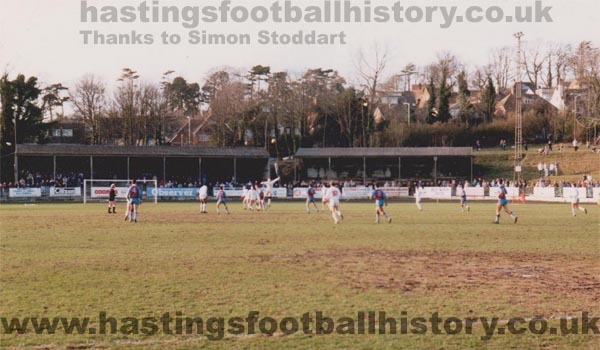 For the next twenty odd years, the ground remained host to Hastings & St Leonards FC who’d become one of the strongest teams in the Southern Amateur League and attendances were at a high. Any alterations made to the ground were minor, such as the extension of the car park. The ground continued to play host to football throughout World War Two and Hastings & St Leonards returned to the ground in 1946. 1948 was an eventful year at the Pilot Field, firstly the introduction of the Hastings Saxons speedway team, who’d reached an agreement with the Hastings Town Clerk, to let the Pilot Field for seven years. The team was formed of the Eastbourne Eagles team, who’d been forced out of their Arlington home thanks to a petrol ban. The move saw the former cycling track upgraded to cinder in preparation for their first meet on 24th April. Later that year, Hastings United, a newly formed professional club fought the amateur club for use of the Pilot Field, with the amateurs reportedly offering £500 yearly rent against United’s £600 plus covering maintenance. The Hastings Observer at this time features many letters from locals who objected to the new club ousting the successful amateur side at such short notice, some believed the council would at least give Hastings & St Leonards time find a new home suitable of hosting Corinthian League football; there was talk of the club using the Central Rec, but in the end they were forced out in favour of the professional club. 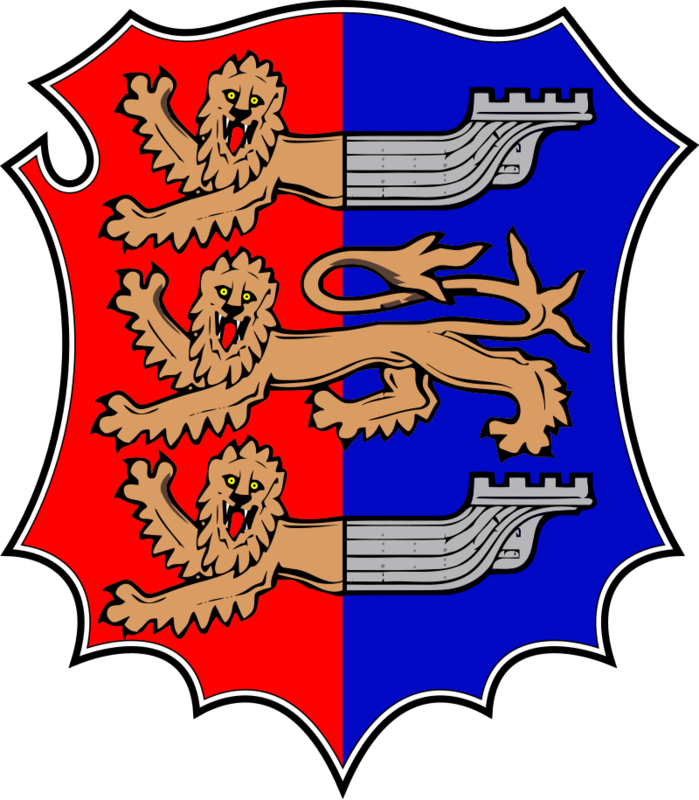 For more information on Hastings Saxons visit the Hastings Saxons Speedway webpage. Covered terracing was constructed at the Elphinstone Road end of the ground in the mid 1950s, with the stand directly behind the goal surviving to this day, having gone through renovation works in the 1990s. The stand located in the corner of the ground survived until around 2000, having been left to rot and eventually closed off to spectators by the mid 1990s, before eventually being demolished and the club shop portacabin being relocated to its spot. The first set of floodlights were erected in 1964, with the eight pylons surviving until 2010 when they replaced by four modern sets after a successful fundraising appeal. The current club bar was built in the late 1990s and with the brick extension being added just a couple of years later, with the old clubhouse under the main stand becoming the board room. The modern stand behind the end of the ground formally known as the ‘Wood End’ was constructed in 2005 and named the ‘Cole Warren Stand’ after two former supporters. Proposals to build a new sports village down Bulverhythe means the Pilot Field may not get to see its 100th birthday, however with maintenance costs ever spiralling; a modern ground is probably much needed to ease the financial burden of running an outdated ground, much loved by local and visiting football fans.